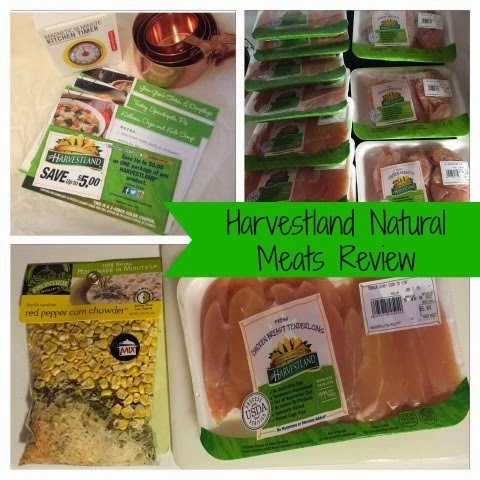 I was excited to try out Harvestland Natural Meats because as part of my new year resolutions, I have been trying to provide better food for my family with more natural ingredients. I was sent $5 off coupons to try this product, so I received a discount. I had to go to Walmart, although Harvestland Natural Meats are sold at Publix, I had Walmart gift cards that I received as a gift so I could pay the difference with. The cashier did one coupon as $0.50 instead of $5 and I didn't realize that until I was home. I went through self check-out and it turns out they were suppose to scan the barcode on the coupon and not the package. I still felt like I got a good deal though. Walmart also had fresh whole chickens with giblets too, but I was nervous about cooking those. I also saw frozen turkey burgers in the freezer section, but my husband isn't a fan of them. Tenderloins were priced $5.48/lb and the breasts were $5.28/lb before coupons. Most packages were under a pound. 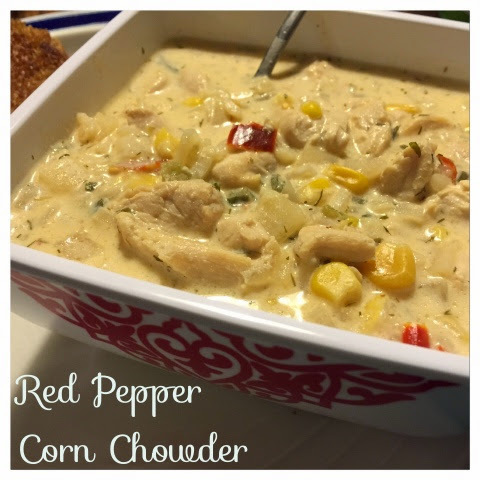 We decided to make some Frontier Soup's Red Pepper Corn Chowder Mix with Harvestland chicken tenderloins. It was so perfect because the weather was cold and rainy. I think that the tenderloins enhanced the soup to it's fullest potential. It was perfectly yummy. Harvestland chickens are raised without antibiotics on free-range, organic farms. The Harvestland product line includes fresh chicken, turkey, and pork products, as well as a variety of fully-cooked refrigerated, frozen, and deli meats. I love that Harvestland adheres to very strict USDA Process Verified guidelines, and ensures that their family farm-raised chickens, turkeys, and hogs are fed an all-vegetarian diet of certified organic ingredients with no animal by-products. Their products are sold at Publix, Walmart, BJ's, Meijer, and many other places as well. Prices vary based on the retailer. Make sure to follow Harvestland on Facebook, Twitter, Pinterest, and Instagram to keep in tune with product updates. What was your resolutions? Was it to eat more natural ingredients? What do you think of Harvestland? What are some of your favorite recipes that you would use with Harvestland Natural Meat products? One of my resolutions is to eat more natural for sure. I'm going to have to check out the Harvestland meat. Thanks for sharing! I've tried Harvestland and enjoyed it. It looks like it would be especially delicious in that chowder! This is the brand that I always use and my family really likes it.